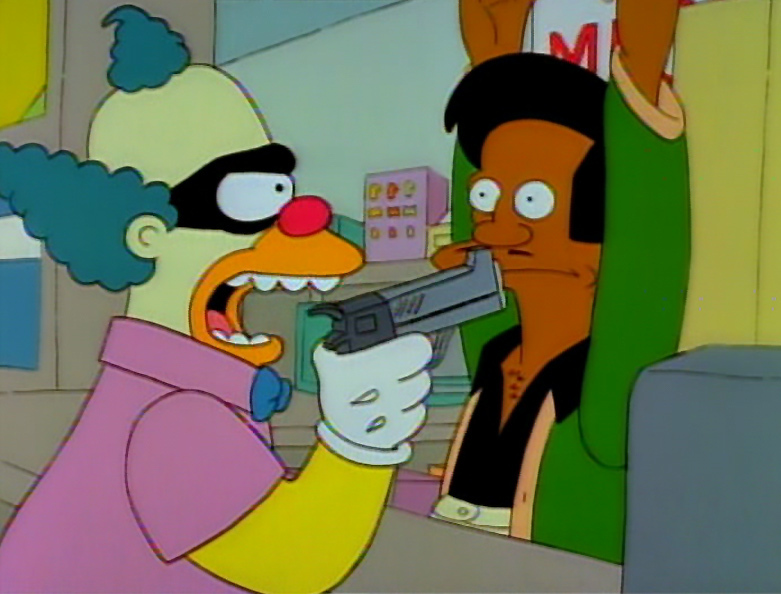 Homer stops by the Kwik-E-Mart on the way home from work and witnesses a robbery committed by Krusty the Clown. He positively identifies the clown as the thief, and Krusty is arrested. 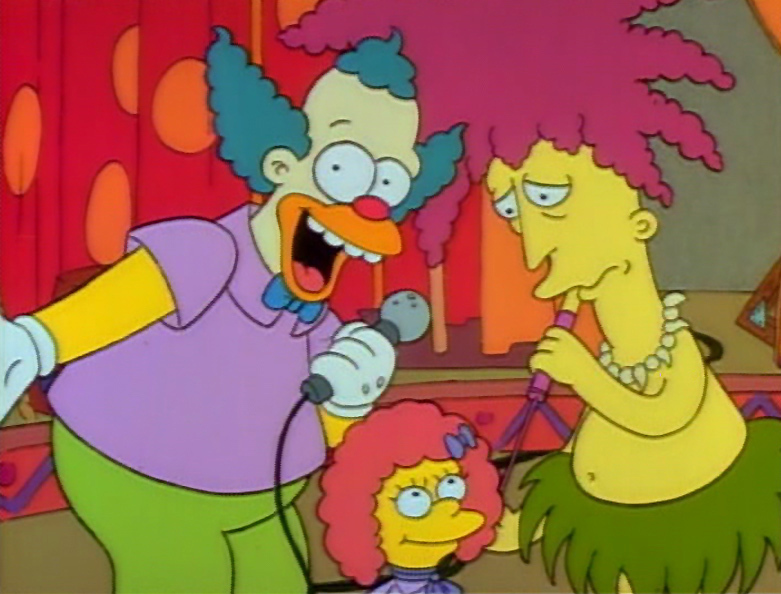 Krusty is kicked off his show, and Sideshow Bob becomes the new host. Devastated, Bart refuses to believe that his idol is guilty and sets out to prove Krusty's innocence. Bart returns with Lisa to the scene of the crime to search for clues. They reason that Krusty could not have used the microwave as depicted by the hidden camera footage, because he wears a pacemaker. They also surmise that Krusty would not have been reading at the magazine rack, because he is illiterate. They conclude that Krusty was framed. At a live broadcast of "The Sideshow Bob Cavalcade of Whimsy," Bart reveals the imposter. 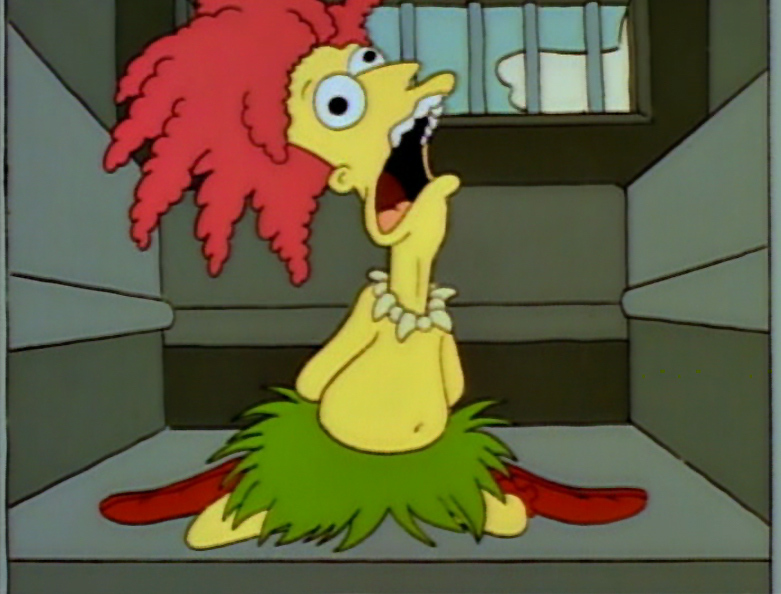 Sideshow Bob had the most to gain by Krusty's downfall. Unlike Krusty, the imposter had feet large enough to completely fill Krusty's clown shoes- that's why he yelled when Homer stepped on his feet. Bart contends that the big feet belong to Sideshow Bob and demonstrates the fact by bashing Bob's feet with a mallet. 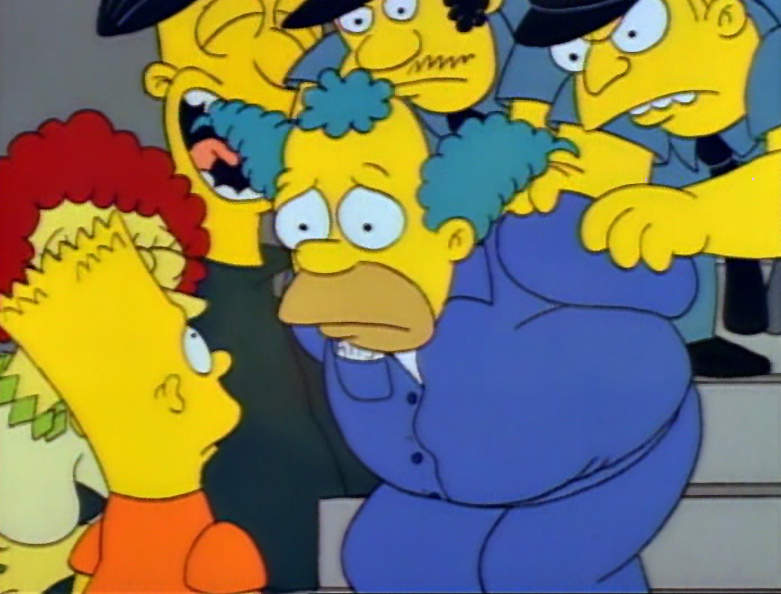 Sideshow Bob admits that he framed Krusty because he was tired of being the brunt of Krusty's jokes. Krusty is set free. He thanks Bart for his help. Marge asks homer to pick up a "half gallon of premium ice cream"
The pull-string Krusty doll sayings include "Your my best friend, buy my cereal (laughter) and I didn't do it".